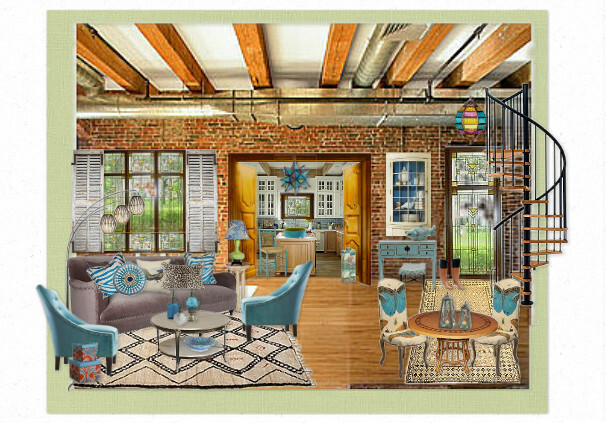 As our Designer Interviews continue, today we feature Bobbi Moore, ASID Allied., a talented and creative interior designer who uses Olioboard as a presentation tool to showcase various room design layouts, including seasonal, color story and accessory options to her clients. Learn more about Bobbi and her experiences using Olioboard below. 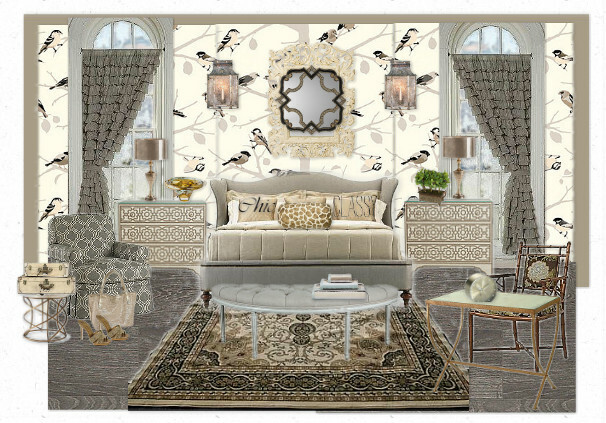 I am the Principal Interior Designer for Panache Designs, my own company, working primarily in the Northern VA area. Panache Designs operated two retail stores for over 20 years in this area. Since I began as “retail based”, I still operate my design business that way. There are various calls for just window treatments, but since I still offer over 325 companies for furnishings and accessories, primarily I am involved in whole room and sometimes whole home projects. I have completed projects in Virginia, North Carolina, South Carolina, New Hampshire, Arizona, and a large restoration and furnishings project in England. I am an Allied Member of ASID. 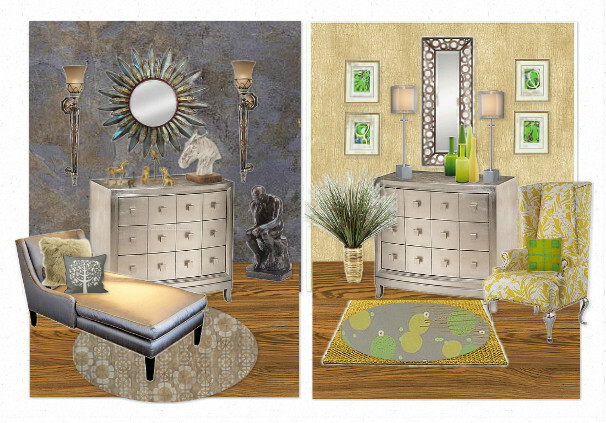 In the moodboards featured above, interior designer Bobbi Moore presents 2 different seasonal looks for her clients: Winter & Spring Foyer. I start a new project based on the client’s requirements. 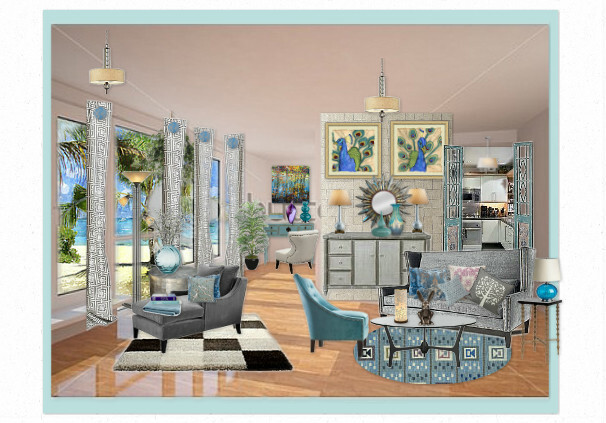 Since I am involved in a lot of whole room projects, I will start with a client showing them sample colors, pieces of framed art, and patterned area rugs, to see what style and colors they respond to favorably. Usually a client knows the style they like, I just show them how different style pieces can be mixed into it in order to create an artistic look. First, Olioboard has been excellent as a way to show clients different styles and colors. I have placed several of my “rooms” into a portfolio presentation on my IPAD, using Dropbox. 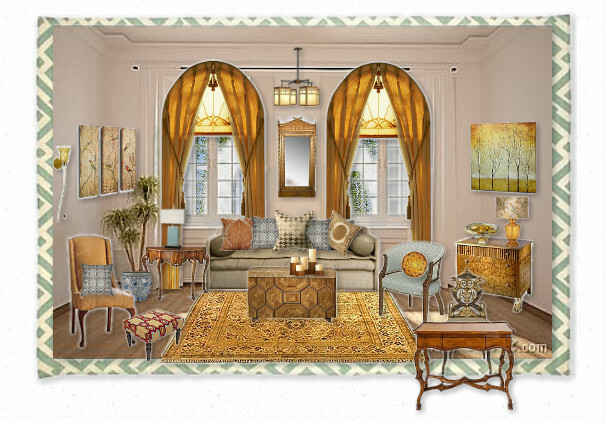 I recently created 4 foyer scenes based on seasons, and just from those was able to help one client channel her color selections very easily. Second, for another client, I was able to show her the exact color Benjamin Moore paint, with the exact fabrics against it that I had selected for her sofa and chair. 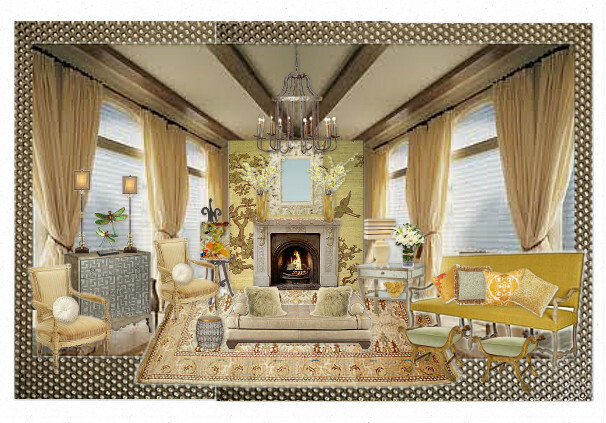 I also am trying to get them to paint the fireplace white, so I also included that in their Mood Board. 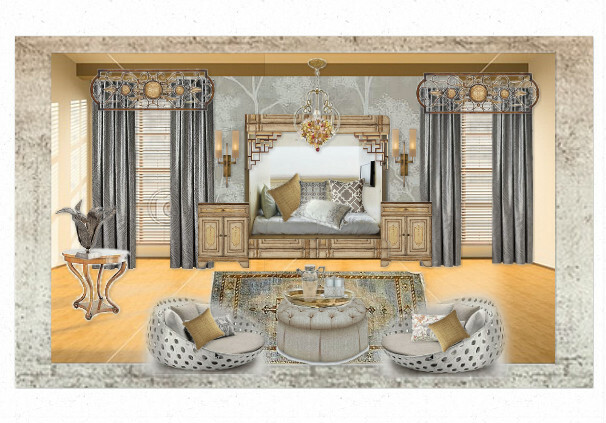 Third, I have had one client that was interested in a sofa, so I put it on Olioboard and of course I added the pillows, art and area rug to the scene. She was able to see a finished scene, and that is also what she ordered, the entire look, including a coffee table. I first started using Olioboard as a fun tool to easily experiment with furnishings and accessories. It is just so user friendly, that I started to realize I could finish a project presentation, completed as a full room style, in about a quarter of the time it would take me to do a computer generated plan from a full software program that I was using. I keep my sets on Olioboard loaded with some of the accessory, lighting and furniture companies that I sell., and they are ready when I am planning a project. Even if we are selecting a different product, using Olioboard does show a client the look I am trying to accomplish, by putting accessories in place. Clients seem to love looking at all the different room plans on my IPAD. One client asked if I scanned them from a magazine. They love seeing their style of room with styles of furniture they never even thought about using. It helps them to branch out and consider different ideas a lot easier than just me talking to them about change. I am very interested in the improvements that are being added to Olioboard. One thing that would be also very useful is the ability to scale a wall, window and furnishings according to actual client room measurements. Tip 1: For new users of Olioboard, I would encourage them to just jump in and start mixing together several items they like in the usual “mood board” arrangement. Tip 2: Experiment with “realistic” looking rooms. Watch the scale of items, for example, with 2 side by side chairs – the one in the foreground should be slightly larger than the one in the background. Use olioboard’s excellent tool to take out the background colors on your item. Tip 3: Look through the huge library of rooms created by the many talented users of the program and you will get inspired to create your own unique look. Everyone is very friendly about sharing items and sets, this expands resources for everyone. I love seeing the same item used on various boards with such uniqueness. 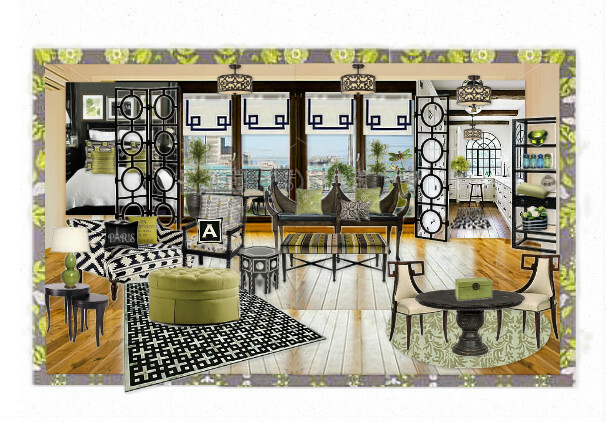 Bobbi Moore is a member of the American Society of Interior Designers, ASID Allied. Panache Designs operated as a Design Studio with two retail stores in the Northern Virginia area for over 20 years. The principal designer, Bobbi Moore continues with Interior Design services, still ordering direct from over 350 manufacturers. We offer all design services to include custom window treatments, space planning, furniture, lighting, area rugs and all accessories. We have completed many whole room projects and also whole home projects in Northern Virginia, Virginia Beach Virginia, Boston Massachusetts, High Point North Carolina, Pine Island North Carolina and New Hampshire. We oversaw the renovation of a Manor House in Exetor England which included all furnishings, draperies and accessories. This project was featured in the local newspaper for Exetor, England. One of our fully decorated homes of 12,000 square feet was featured on the Virginia Home and Garden Tour for Northern Virginia. Panache Designs has participated in the Capitol Expo Home Show in Dulles, Virginia two times a year for over a decade. We have completed build out and design of six retail gift shops. We were also selected to design and implement custom window treatments for twelve floors of a Tysons Corner Virginia hotel. 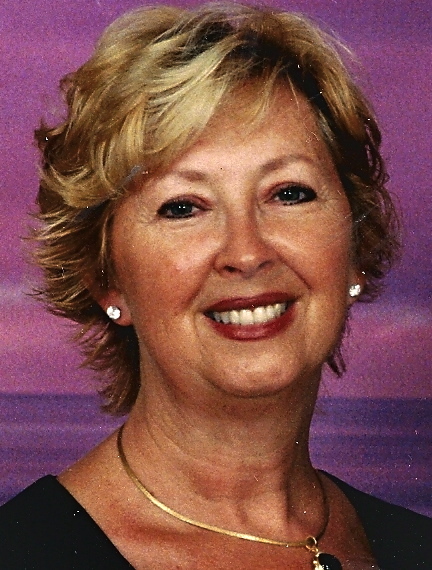 To learn more about Bobbi and to view her complete designer portfolio, visit www.panachedesigns.org. You can also find Bobbi on Olioboard (member: Panache), Facebook, Houzz and Pinterest.